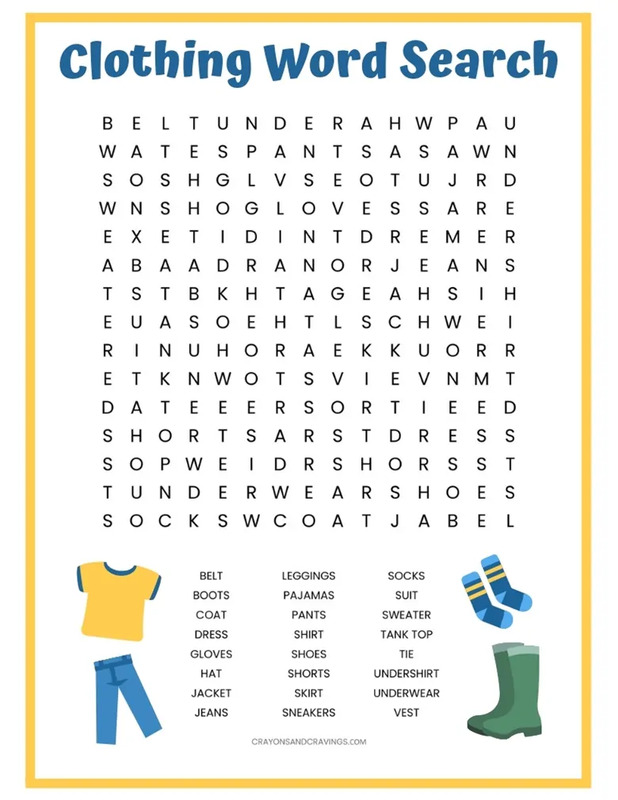 A free clothing word search printable with 24 words for different types of clothes to find such as shirt, dress, shoes, jacket, and shoes. I love creating word search printables to share. Word puzzle activities such as word searches are an excellent way to have a bit of fun while still working your brain. This word search is great for teachers looking for a clothing-themed activity for their class. It is also great for parents at home to print out for their kids to enjoy on a rainy day. Regardless of the reason, the kids will enjoy this fun worksheet. Packed with 24 words for things what we wear, this word find is challenging enough for adults as well. The words to find are all listed in the word bank on the word search itself as well. Words can be found going horizontally, vertically, or diagonally — but no words will be hidden backwards. 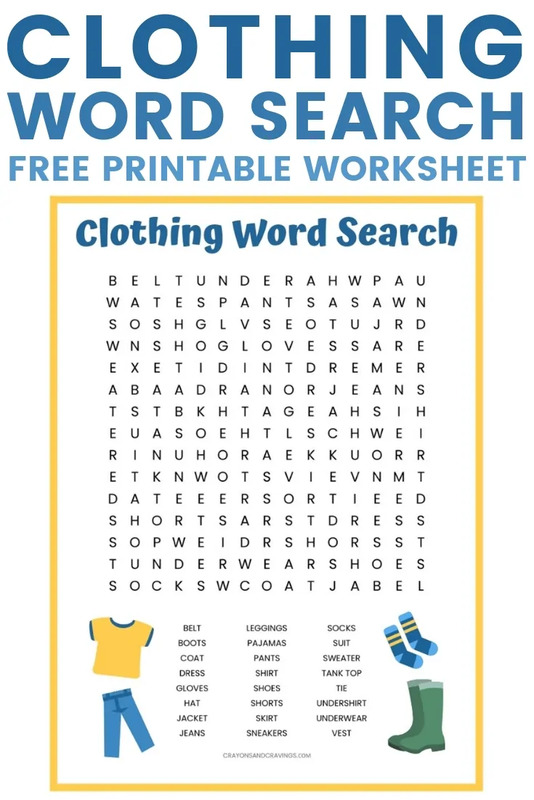 Click the link below to download the clothes word search PDF. Then, open the file and print it out right from your home computer.